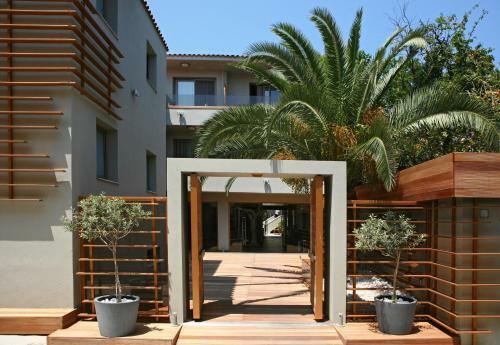 Located in the lush area of Punta, this Skiathos hotel offers rooms with views of the sea and the port. Guests enjoy a private beach and a swimming pool, both with free sun beds and umbrellas. This family-run property is situated on a hillside, just 250 metres from Agia Paraskevi Beach. Boasting a Mediterranean restaurant, Magic Hotel features a pool area with children�s pool, hot tub and bar. Just off the main street of Skiathos Town, this 4-star hotel offers a lovely courtyard with pool and sun-lounger terrace. The minimalist rooms have king-size beds and flat-screen TVs.